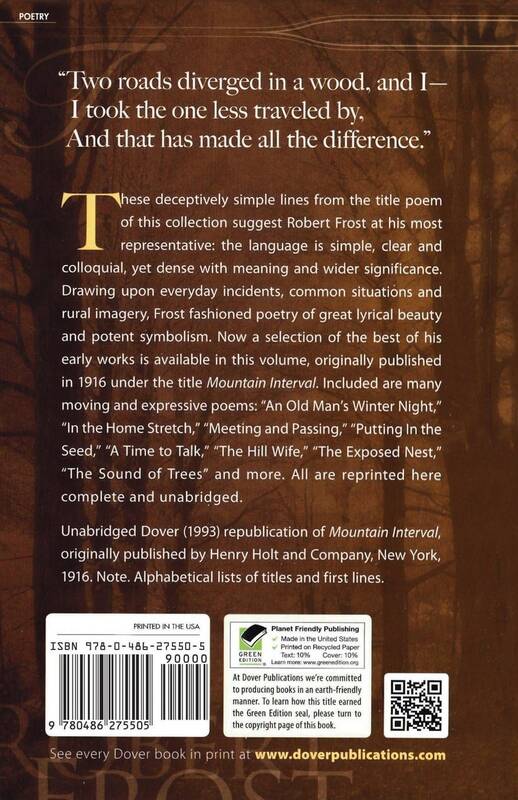 "These deceptively simple lines from the title poem of this collection suggest Robert Frost at his most representative: the language is simple, clear and colloquial, yet dense with meaning and wider significance. Drawing upon everyday incidents, common situations and rural imagery, Frost fashioned poetry of great lyrical beauty and potent symbolism. Now a selection of the best of his early works is available in this volume, originally published in 1916 under the title Mountain Interval. 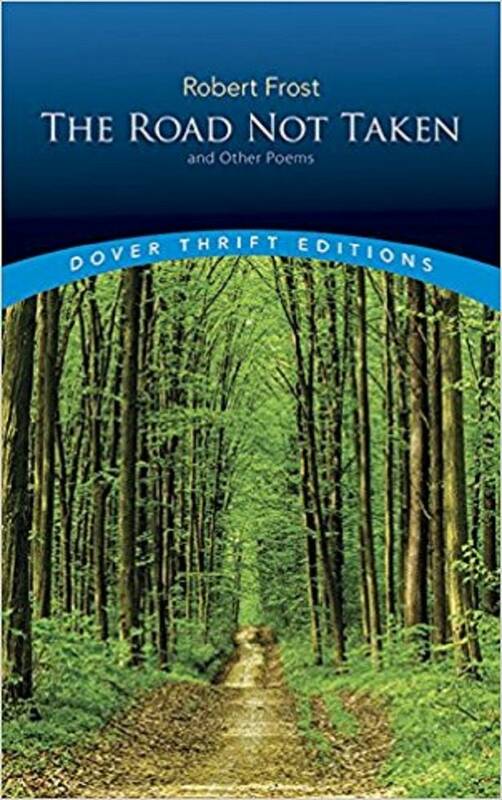 Included are many moving and expressive poems: "An Old Man's Winter Night," "In the Home Stretch," "Meeting and Passing," "Putting In the Seed," "A Time to Talk," "The Hill Wife," "The Exposed Nest," "The Sound of Trees" and more. All are reprinted here complete and unabridged. Includes "The Road Not Taken."